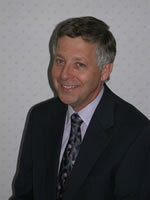 Dr. David E. Rawson is a 1974 graduate of Dentistry from The University of Western Ontario in London, Ontario. He spent his first five years as a Dental Officer in the Canadian Armed Forces serving in Halifax N.S. and Kingston Ontario. He opened a General Practice in London, Ontario in 1979 and has maintained a keen interest in the dynamics of the growing face and dentition. He uses orthodontics to treat unfavourable conditions early in children. Since 1998, Dr. Rawson has traveled extensively over North America studying with the leaders in Chronic head and neck pain, Temporomandibular joint dysfunction (TMD), Orthodontics and Sleep disordered breathing which includes snoring and sleep apnea. In 2003 Dr. Rawson opened the TMJ and Sleep Therapy Centre of London, Ontario which is solely dedicated to the diagnosis and treatment of these conditions. He incorporates an holistic approach to treating patients and uses a multi disciplinary team to enhance the treatments started in his centre. Approaches included are Cranial Sacral Therapy, Massage Therapy, Nutritional analysis and referral to the appropriate medical facility where indicated..
Dr. Rawson and his well trained and dedicated staff see patients, young and old, daily who suffer needlessly from headaches and sleep disorders which can now be treated effectively using modern technology and new treatment concepts. Dr. Rawson is Board Certified as Diplomate with the America Board of Craniofacial Pain, is an adjunct clinical professor at the School of Dentistry at Western; is the founder and President of S.M.I.L.E., an Orthopedic Study Club for colleagues in SW Ontario and keeps active in a number of organizations in his profession.